Juvenile rheumatoid arthritis (JRA) is the most common type of arthritis that can affect children. JRA is an autoimmune disorder that causes inflammation and stiffness in the joints. Children suffering from JRA usually experience episodes of pain and swelling, even after periods of rest or limitation of movement. Some children may also have frequent fevers and rashes. Signs and symptoms of JRA sometimes become apparent in the eyes. In extreme cases, it may cause loss of vision or even blindness. Light sensitivity: Your child may be extremely sensitive to bright light, both indoors and outdoors. Eye pain: Your child may complain of aching or pain in the eyes. Blurred vision: Blurry vision is sometimes a complaint of children. More often, a parent detects symptoms of blurred vision such as squinting. Excessive tearing: Your child's eyes may produce more tears than normal, which can lead to red or swollen eyes. Uveitis in children with JRA is a leading cause of vision loss and blindness. However, if it is detected early and treated promptly, most children will have a good prognosis. 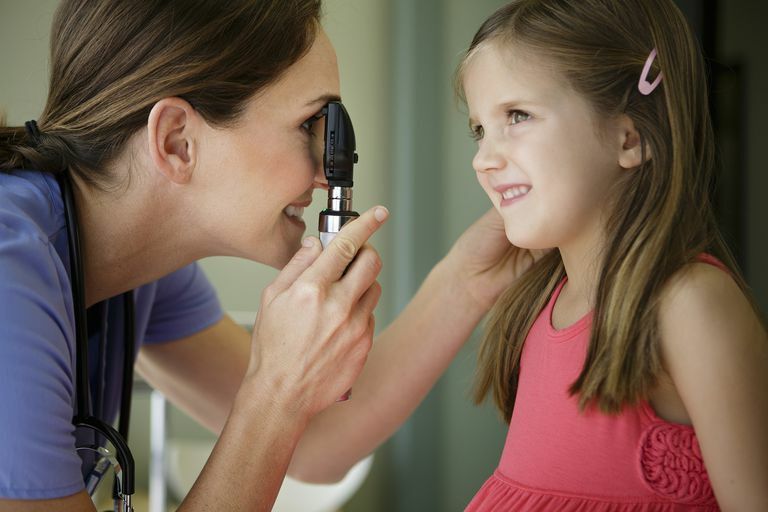 It is therefore vital to schedule regular eye examinations with a pediatric ophthalmologist. When determining an appropriate examination schedule, your doctor will consider the type of arthritis, the age of the child at the onset of JRA, the duration of symptoms of JRA, the results of blood tests looking for anti-nuclear antibodies and the presence or absence of eye inflammation. Your child may require fewer eye examinations over time. Cassidy, James and Jane Kivlin, Carol Lindsley and James Nocton. Ophthalmologic Examinations in Children With Juvenile Rheumatoid Arthritis, Pediatrics 2006.